Mark Begich, Gov. Bill Walker and Mike Dunleavy. The three are headed for a three-way race for governor in the fall. The numbers on a three-way race for Alaska governor haven’t been great from the start, but it hasn’t seemed to give either Gov. Bill Walker or Democrat Mark Begich any pause since the filing deadline a month ago. Today, the Walker campaign released new polling numbers that go a long way to explaining why Walker is still confident that the race is winnable. This poll puts Walker above Begich with 28 to 22 percent of the vote. Both still trail Republican front-runner Mike Dunleavy in the three-way race. “There is no question that we are in a dogfight,” explained a statement accompanying the campaign’s release of the polling. The release also notes that the poll differs from recent polling because it pairs each gubernatorial candidate along with their running mate. Walker with Mallott, Begich with Debra Call and Dunleavy with Kevin Meyer. The poll was conducted by Patinkin Research Strategies, polling 800 likely November voters between June 22 and June 28. The self-reported margin of error is +/- 3.4 percent. Cross tabs for the polling were not available in the release. With the changes in polling, which the campaign suggests are more accurate, Walker now comes out ahead of Begich. That’s a reversal from recent polling, which put Walker at a distant third in the three-way race. Still, the top takeaway from the polling is that the three-way race still heavily favors Republican front-runner Mike Dunleavy. The prior polling by the Alaska Correctional Officer Association also put Dunleavy on the top, where he had 38 percent of the vote. 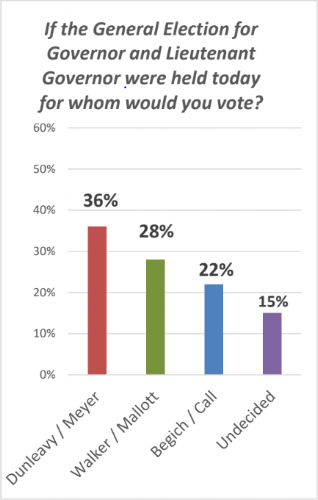 The Walker-backed Patinkin poll puts a Dunleavy/Meyer ticket at 36 percent of the vote, which would suggest that while there’s room to debate the support between Begich and Walker there’s pretty broad agreement about where Dunleavy stands today. 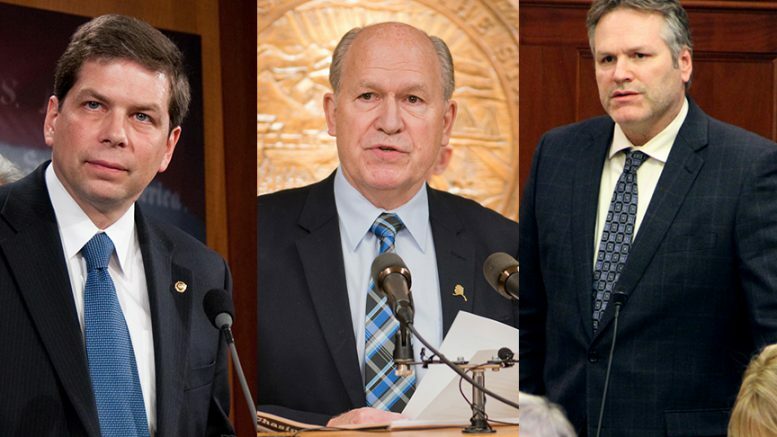 3 Comments on "Begich is third in Alaska governor’s race poll commissioned by Walker/Mallott campaign"
I’d say there is exactly zero chance this poll is accurate.